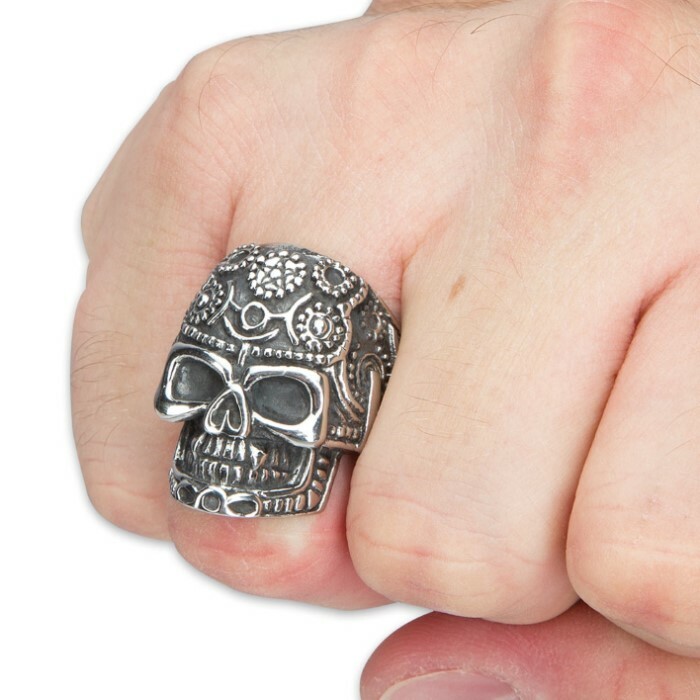 Stainless Steel Sugar Skull Ring | BUDK.com - Knives & Swords At The Lowest Prices! 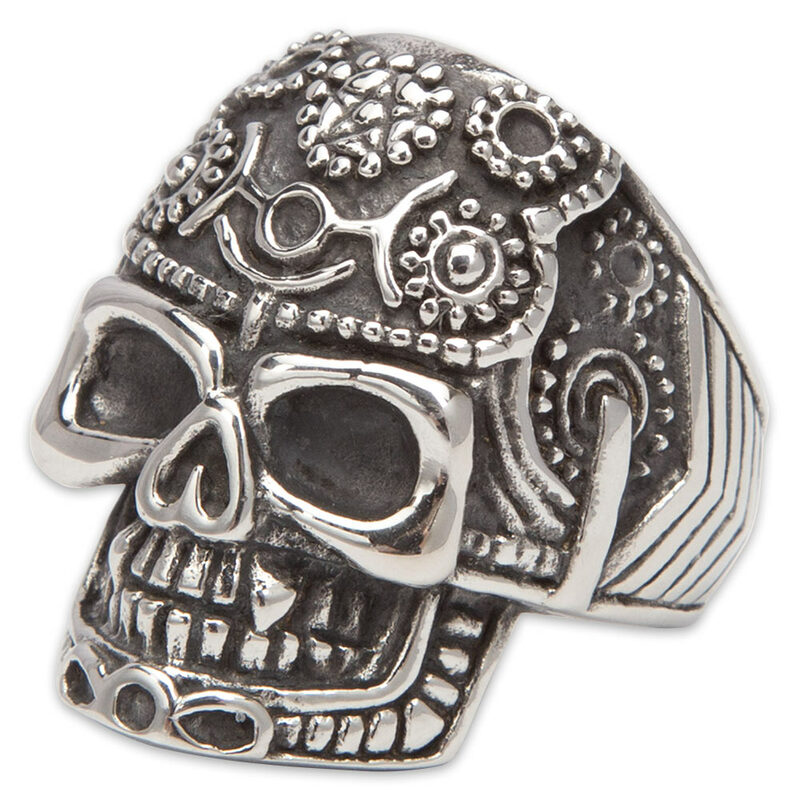 Our new Stainless Steel Sugar Skull Ring is not just a piece of jewelry but a piece of unique artwork. If you like accessories that really make a statement, then you must own this iconic ring. 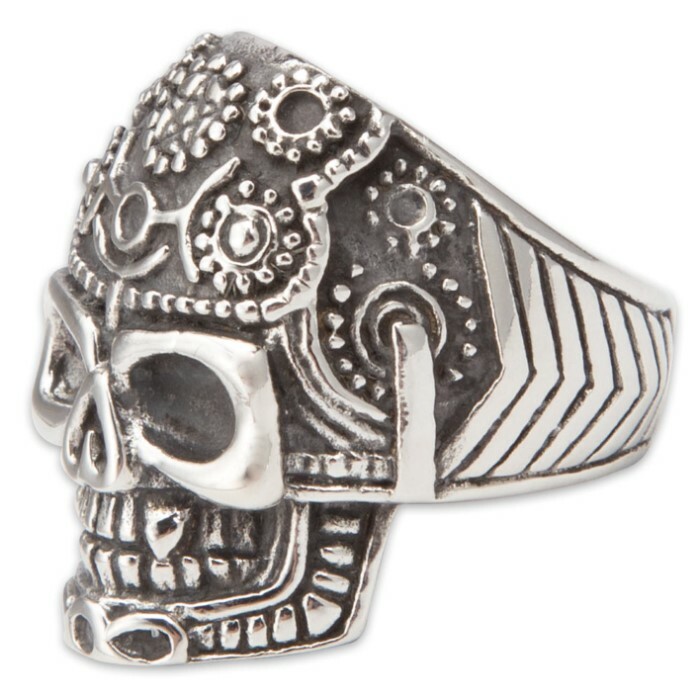 Meticulously crafted of stainless steel, the ring is fashioned into a highly-detailed sugar skull that would please any collector. You can get this ring in sizes 8, 9, 10 and 11.